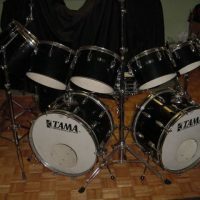 This Tama Imperial Star 13 piece drum set was owned and used by Gil Moore of Triumph. The set can be seen in the bands 1981 video for their million selling Allied Forces album. 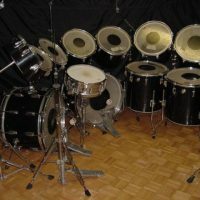 The set is in excellent condition and includes 6,8,10,12,13,14,15 and 16″ single headed concert toms, 16 and 18 floor toms, two 22″ bass drums and a 14×5″ chrome snare drum. 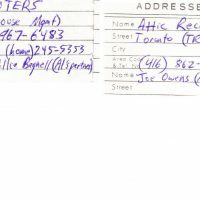 Includes original shipping documents. The set will ship from Florida. 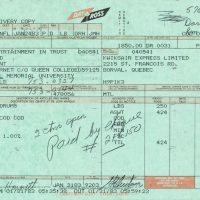 Plan on about $800 shipping.